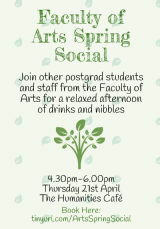 Join us for free drinks and nibbles in the Humanities Cafe on Thursday 21st April, 4.30 - 6pm. PG students can find out about the On Track support programme aimed at those of you currently working on dissertations. 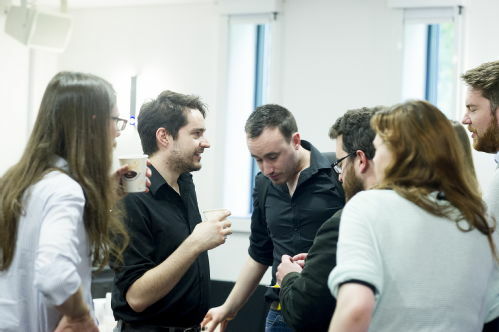 PGR students will have the chance to gain valuable insider tips from the RSSP team behind the 3 Minute Thesis and Poster Competition.